Review of thew new Haken live album, L-1VE, released on June 22nd, 2018. 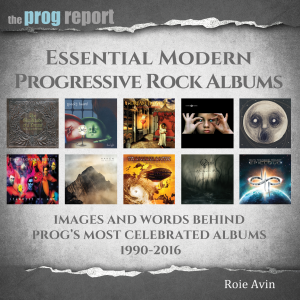 With such a rich history, Haken is a well-known name among Prog and Metal fans. Founded in the UK in 2007, they have released 4 full length records – all to critical acclaim. There was only one thing missing from their incredible catalogue… Their fan base has been crying for a live album for years – but that’s about to be resolved with the release of L-1VE on June 22nd 2018. After releasing and touring in support of their successful 4th studio Affinity, Haken decided to add a “few” more dates to the touring schedule. They dubbed the new tour “Haken X”, to celebrate the band’s 10th year anniversary, including songs across all their studio albums in the setlist. L-1VE was recorded and filmed on the final night of the European leg of this tour on April 13th 2017 in Amsterdam. Dust off your CRTs, it’s time to hit “play”. I’ve had the pleasure to attend a few Haken concerts. The camera work in the opening segment of “affinity.exe” and “Initiate” emulate the feeling of being in the audience anticipating what will be an amazing night. It really feels like you’re there in person. They quickly follow up with a classic from The Mountain, “In Memoriam” to keep the momentum going. Longtime fans know this song has one of the craziest instrumental sections ever, but watching it being played is just mind-blowing. “1985” is the next song on the setlist and is a highlight here just as it is on Affinity. The audience dances along with the band on the retro theme (everyone is wearing neon light glasses, of course) – until we reach the song’s middle point with Diego Tejeida’s wonderful keytar performance. I won’t spoil what it is exactly but there’s a really cool visual effect during this song that will make you feel in the 80’s – exclusive to L-1VE! The live version of “Red Giant” serves as a ‘calm before the storm’ moment. A much underrated gem from Haken’s catalogue, slowly builds and then leads the way to one of the best moments of the DVD – “Aquamedley”. This 22 min. long medley features 6 out of 7 songs from the band’s first full length album Aquarius. Perfectly executed and with seamless transitions, it feels like an appropriate celebration for both the band and the fans that have been with them from the start. Fan service at its finest! After such a high energy piece, it’s time for everyone to slow down a little bit. A distant piano sound comes in and “As Death Embraces” starts. A beautiful and melodic ballad, sung with mastery by Ross as they segue into “Atlas Stone”. I have to mention the sound mix here as it is phenomenal. Diego’s intro choir tone in particular gave me chills, as did Charlie’s harmonic guitar solo. It’s hard to imagine how they made such a huge song sound even better live than in the studio, but both Haken and sound engineer Jerry Guidroz nailed it. “Cockroach King” is basically Haken’s “Bohemian Rhapsody”. They play it every concert and the audience sings along every single word – especially the Gentle Giant/Spock’s Beard inspired segments. Even after playing it so much, they still have a blast with the fans and find new ways to make the live version even more entertaining. Stand-out moments are Diego and Conner’s stare down during their jazz section and Richard’s guitar solo. One of the longer songs of the set, the intricate “The Architect” starts off with distant keyboard sounds and effects leading to an amazing and heavy synth lead. Opening instrumental section to first verse, execution is on point as always by all members. Conner has a solo bass spot in the middle point of the song that sounds just superb. Then, we go to a slower section that implements electronic drums with many atmospheric layers building – it’s a sight to see. On the section originally performed by Leprous’ Einar Solberg, Ross assumes the mics and shows off his screams for the second time in the evening. This track’s finale is one of the best moments in Haken’s catalogue – additionally, Ray’s drum parts are incredibly creative and work wonderfully, his performance is the real highlight of this epic (and the bar is set very high!). Ross invites everyone to party with them for one last song (spoilers: he’s lying!) – intro to “The Endless Knot” begins and WOW! This is one of my personal favorites and it sounds as good as ever. Everybody is having fun both on stage and in the audience too, there’s even a mosh-pit during the dub-step stretch. Charlie’s guitar solo in this tune is an incredible mix of technical and melodic. The reprise of “1985”’s chorus here is one of the most memorable moments of the whole concert. Up until this point, the only album from their catalogue that has not been represented was Visions. The way to remedy that? 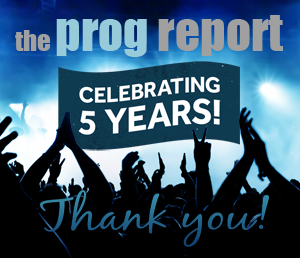 Come back for the encore and play one of Prog’s most celebrated epics. “Visions” is a particular song where every band member gets their time to shine. During the instrumental section, there’s an insane technical prowess in display by all of them – one solo after the other. Everything culminates in the wonderful finale, every fan is screaming and Ross asks the audience to sing with them one last time in their European Haken X Tour. To quote him, “a perfect ending” – for the concert, the tour and the DVD too. The L-1VE package also includes a second DVD featuring 3 official videos and 4 songs recorded live at Prog Power USA 2016. These include the fan favorite “Falling Back to Earth”, “Earthrise”, “Pareidolia” and the 25-min long “Crystallized”. You might even see some very familiar faces show up as special guests! Considering all the high praise I gave to L-1VE, the only thing that would make this release even better would be a Blu-ray version in full HD. However, it’s understandable that we only got the DVD version considering everything that goes into the production of these packages. I’m happy to report that both video and audio qualities for the available versions of L-1VE are top notch and I guarantee you won’t regret picking this one up. 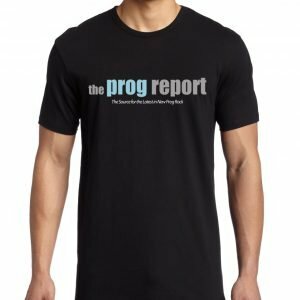 After years of fan demand, one of modern Prog’s giants finally release a live album. One celebrating the band’s history, with a stellar setlist, and highlighting every strong aspect about their group. 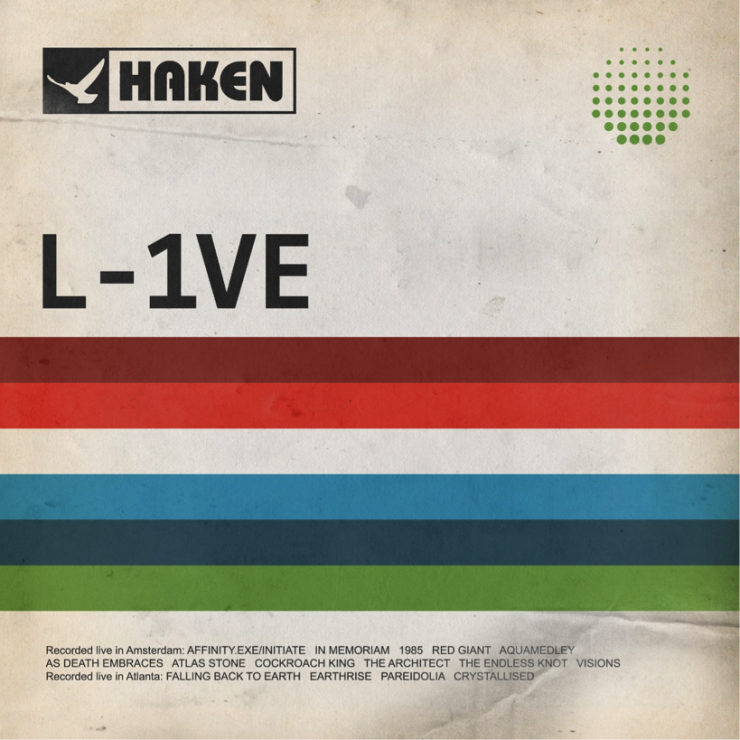 Haken has been carrying the Prog Metal torch for a while now and the long overdue L-1VE package is enough to convince anyone about it.